NTIA received a wide variety of Infrastructure/Comprehensive Community Infrastructure (CCI), Sustainable Broadband Adoption (SBA) and Public Computer Centers (PCC) applications. The following links to a searchable database of all BTOP applications from Rounds 1 and 2. Awarded applications can be found by selecting “Awarded” from the Status dropdown. BroadbandMatch is an online tool that allows Recovery Act grant recipients and other communities developing broadband projects and programs to connect with a variety of potential partners. BroadbandMatch allows individuals and communities pursuing broadband projects to search for and connect with potential partners in specific locations and with appropriate areas of expertise, including small socially and economically disadvantaged businesses. NTIA and the Department of Agriculture's Rural Utilities Service (RUS) held a series of free public workshops from July 7 – July 24, 2009, about the application process prior to the first round application window. Archived information and presentations from Round 1 workshops are below. NTIA and the Department of Agriculture's Rural Utilities Service held a series of free public workshops from January 26 – February 12, 2010 about the application process prior to the second round application window. Archived information and presentations from Round 2 workshops are below. NTIA held two funding application rounds: Round 1 in Summer 2009 and Round 2 in Winter 2010. The application filing periods for both Rounds 1 and 2 are now closed. The following resources and links contain general application rules, guidance, and resources provided to assist applicants in completing and submitting their Round 2 BTOP applications. For more information on the Round 2 NOFA, please refer to the Program Rules page of this section. The Recovery Act authorized NTIA to consult with states, territories, possessions, and the District of Columbia regarding the identification of unserved and underserved areas within their borders and the preferred allocation of grant funds to projects in or affecting their states. Consistent with this objective, on April 2, 2010, NTIA invited each state to provide input on geographic areas for which NTIA should give priority in selecting projects for funding. NTIA also extended the invitation to approximately 580 Tribal entities, including 12 Alaska Regional Tribal Corporations, to comment upon applications that propose to serve Tribal communities in an effort to fund projects that best meet the needs of their Tribal lands. States and Tribes were also invited to comment on specific BTOP applications that propose to serve areas within their jurisdictions, regardless of the size or geographic scope of the project and describe why certain applications meet the greatest needs of the state or Tribe. The input of states and Tribes is consultative in nature and, while extremely valuable, constitutes only one of several factors NTIA weighed when evaluating applications. NTIA hosted public meetings and solicited comments and letters regarding BTOP from individuals and groups outside the Department of Commerce to capture the public’s views and opinions. Letters and Meetings – Links to copies of letters submitted and summaries of meetings held. Public Meetings – Transcripts from March 2009 meetings held to discuss the creation of BTOP. Archived Public Comments Round 1 – List of comments submitted in accordance with NTIA’s Request for Information (RFI) prior to Round 1. Archived Public Comments Round 2 – List of comments submitted in accordance with NTIA’s Request for Information (RFI) prior to Round 2. The Service Provider Response Period is now closed. NTIA posted a list of the Census block groups that each Round 2 CCI applicant proposed to serve through its project. Existing broadband service providers had the opportunity to submit information about the broadband services they currently offer in their respective service territories by Census block group or tract. The Service Provider list below contains the Executive Summaries of each service provider’s submission. Public notice summaries from service providers have been posted below. 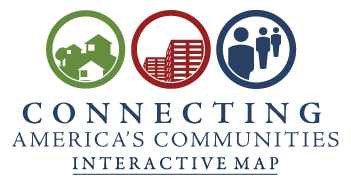 Pursuant to section V.D.3.d of the Notice of Funds Availability (NOFA), NTIA posted a list of the Census block groups or tracts that each Round 2 Comprehensive Community Infrastructure (CCI) applicant has proposed to serve through its project. The posting of this information initiated a window for existing broadband service providers to submit information about the broadband services they currently offer in their respective service territories by Census block group or tract. Each file type below contains a comprehensive list of the 69,880 Census block group or tract numbers that Round 2 CCI applicants have proposed to serve through their projects. Service Providers will need to review this list of Census block groups or tracts and complete the Service Response Template to submit a challenge. Please note that Census block group or tract numbers are not listed according to specific applications. NTIA will connect challenges from Service Providers to the proposed service areas of relevant Round 2 CCI applications. MS Excel 2007 (1 file) – For respondents using MS Excel 2007, download one single file (.xlsx). Recommended browser: Mozilla Firefox. MS Excel 2003 (2 files) – For respondents using MS Excel 97-2003, download two files (Part I and Part 2) in order to see the full complement of Census block groups or tracts. NTIA has released Frequently Asked Questions (FAQs) for the Proposed Funded Service Area Comment period. The comment period for CCI proposed funded service areas opened on April 15th, 2010. The comment period is now closed. NTIA will accept documents via btop@ntia.doc.gov; however, we cannot guarantee that they will be considered when reviewing the merits of highly qualified CCI applications. IMPORTANT: Announcement of Extended 25-day Comment Period for CCI Projects. The National Telecommunications and Information Administration (NTIA) announces that broadband service providers wishing voluntarily to provide information on the services they provide in the proposed funded service areas of any of the submitted Comprehensive Community Infrastructure (CCI) projects for the Broadband Technology Opportunities Program (BTOP) will have until 5 p.m. EDT on May 10th, 2010. Such information should include the broadband services they currently offer in their respective service territories by Census block group or tract. This comment period adds 10 days to the 15-day period originally provided in the BTOP Notice of Funds Availability for the second funding round (Second NOFA), 75 Fed. Reg. 3792, 3801 (Jan. 22, 2010). Respondents may complete this Service Response Template (MS Excel) to submit a challenge. This template includes detailed instructions on completing the included worksheets. 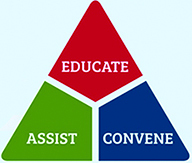 Navigate to btopcomments.ntia.doc.gov and complete a short registration process. NTIA will consider the comments of existing broadband service providers as a factor in its evaluation of the applicant’s Last Mile or Middle Mile service area(s) provided that they include the following information, some of which will be made public: (1) the name of the company providing information on its broadband service offerings; (2) a summary describing the information the provider has presented to NTIA; (3) the number of households and businesses that have access to broadband service in the provider’s service territory by Census block group or tract; (4) the type of broadband services the provider offers in its service territory by Census block group or tract and the technology used to provide those services, including, for wireless carriers, the spectrum that is used; (5) the prices at which the broadband services are offered; (6) the speed of the broadband services that are offered; (7) the number of subscribers that the provider currently has for each of the broadband services it offers in its service territory by Census block group or tract; and (8) optionally, a list of the provider’s Points of Presence (POPs) in or near Census block groups or tracts listed by the announcement. The information submitted by an existing broadband service provider relating to items (3) through (8) enumerated above will be treated as proprietary and confidential to the extent permitted under applicable law. The information described in items (1) and (2) above, which includes the identity of the company submitting information and a summary of its response, will be made publicly available. NTIA will post a list of the Census block groups or tracts in which existing broadband service providers have indicated that they provide broadband service at www.ntia.doc.gov/BroadbandUSA. NTIA may consider any information submitted by existing broadband service providers as relevant to its prioritization and review of CCI applications and as part of its evaluation of the merits of a highly qualified CCI application. • Albany Mutual Telephone Association • Alenco Communications, Inc.
• Antilles Wireless, LLC • Arkansas Telephone Company, Inc.
• Armstrong Telephone Company - Northern Division • Armstrong Utilities, Inc.
• Baja Broadband Operating Company • Baldwin Nashville Telephone Company, Inc.
• Barry County Telephone Company • Bay Springs Telephone Company, Inc.
• Berkshire Telephone Corporation d/b/a FairPoint Communications • Bernard Telephone Co., Inc.
• BEVCOMM, Inc. • Blackfoot Telephone Cooperative, Inc.
• Cannon Valley Cablevision, Inc. • Cannon Valley Telecom, Inc.
• CAP Cable, LLC • Cap Rock Telephone Cooperative, Inc.
• Cellular South • Central Arkansas Telephone Cooperative, Inc.
• Central Oklahoma Telephone Company • Central Texas Telephone Cooperative, Inc.
• Cochrane Cooperative Telephone Company • Coleman County Telephone Cooperative, Inc.
• ComSouth Corporation • Consolidated Communications, Inc.
• Craw-Kan Telephone Cooperative, Inc. • Crockett Telephone Company, Inc.
• Cross Cable Television, L.L.C. • Cross Wireless, L.L.C. • Crossville Telephone Company • CT Communications Network, Inc.
• DCN (Dakota Carrier Network), LLC • Decatur Telephone Company, Inc.
• Dell Telephone Cooperative, Inc. • Delta Telephone Company Inc.
• Dickey Rural Networks • Docomo Pacific, Inc.
• Dumont Telephone Company • Duo County Telephone Cooperative Inc.
• ETC Communications • Etex Communications, L. P.
• Etex Telephone Cooperative, Inc.
• FairPoint Missouri, Inc. d/b/a FairPoint Communications • FairPoint Vermont, Inc.
• Farmers Mutual Telephone Cooperative-Shellsburg • Farmers Telephone Cooperative, Inc.
• Fidelity Communications Co. and Subsidiaries • Flat Rock Telephone Co-Op Inc.
• Frontier Communications • FTC Diversified Services, Inc.
• Geetingsville Telephone Co., Inc. • Georgetown Telephone Company, Inc.
• Golden Belt Telephone Association • Golden West Telecommunications Cooperative, Inc.
• Hart Telephone Company • Haviland Telephone Co., Inc.
• HickoryTech Corporation • Hill Country Telephone Cooperative, Inc.
• Hills Telephone Company, dba Alliance Communications • Hillsboro Telephone Company, Inc.
• IOWA NETWORK SERVICES, INC. • Iowa Telecommunications Services, Inc.
• JetBroadband VA, LLC., JetBroadband WV, LLC. • Leaco Rural Telephone Cooperative Inc. • LINCOLN COUNTY TELEPHONE SYSTEM, INC.
• Midcontinent Communications • Mid-Hudson Cablevision, Inc.
• Mid-Missouri Telephone Company • Mid-Plains Rural Telephone Cooperative, Inc.
• Mid-Rivers Telephone Cooperative, Inc. • Midstate Communications, Inc.
• Milford Cable TV Inc. • Millington Cable Television, Inc.
• Moapa Valley Telephone • MoKan Dial Inc.
• Molalla Communications Company • Monon Telephone Company, Inc.
• NATCO Communications, Inc. • National Telephone of Alabama, Inc.
• Northern New England Telephone Operations LLC d/b/a FairPoint Communications, Inc. • Northern Telephone Cooperative, Inc.
• Northland Cable Properties Seven Limited Partnership • Northland Cable Television, Inc.
• Noxapater Telephone Company, Inc. • NTELOS Telephone, Inc.
• Ogden Telephone Company • Oklahoma Telephone and Telegraph, Inc.
• Palmer Mutual Telephone Company • Palmetto Rural Telephone Cooperative, Inc.
• PC Telcorp dba. PC Telcom • PEACE VALLEY TELEPHONE CO., INC.
• Prairie Grove Telephone Company, Inc. • Prairie Telephone Co., Inc.
• Project Telephone Company • Puerto Rico Telephone Company, Inc.
• Reynolds Telephone Company • Rice Belt Telephone Company, Inc.
• Riviera Telephone Company, Inc. • Roanoake Telephone Company, Inc.
• Savage Communications Inc. • segTEL, Inc.
• South Arkansas Telephone Company • South Central Wireless, Inc.
• South Slope Cooperative Telephone Company • Southwest Arkansas Telephone Cooperative, Inc.
• Tekstar Communication Inc. (TCS) • Telepak Networks, Inc.
• Tri-County Communications Cooperative • Tri-County Telephone Company, Inc.
• Val-Ed Joint Ventures dba 702 Communications • Van Buren Telephone Company, Inc.
• Velocity Communications, Inc. • Vermont Telephone Company, Inc.
• Washington County Rural Telephone Cooperative, Inc. • Wausau MSA, LLC. • Winthrop Telephone Company • WISP Guam, Inc.
• XIT Rural Telephone Cooperative, Inc.
• 3 Rivers Telephone Cooperative. Inc • 360networks (USA) inc.